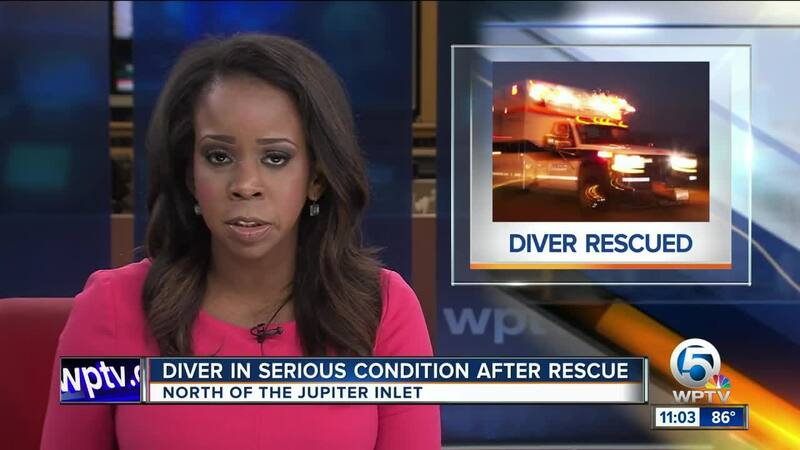 A boater rescued his spearfishing partner who encountered a problem Monday morning during a free dive north of the Jupiter Inlet, according to the Palm Beach County Sheriff's Office. Deputies later learned that one man would stay on the boat while the other would enter the water. And, after about eight or nine dives, the man who was on the boat saw a large number of bubbles coming to the surface. Sensing something was wrong, the sheriff's office says the boater jumped in and found his friend in about 60 feet of water, pulled him to the surface, called 911 and began CPR. A PBSO Marine Unit responded, put the man in distress on their boat, and continued CPR. The sheriff's office says Jupiter police also arrived and helped with CPR. When the boat made it to land, first responders with Palm Beach County Fire Rescue continued the lifesaving measures and took the man to St. Mary's Medical Center, the sheriff's office said. He was last listed in serious condition. Deputies have not yet identified the men but said they were 19 and 20-years-of age. Rescue crews say diving alone is dangerous and with the summer tourist season underway, anyone seeking to dive needs to know that preparation is important. “Since the 80s I’ve been out here diving and fishing," said local diver and boat captain John Saunders, who runs the Jupiter Water Taxi eco-tour service. He said the incident brings to mind proper safety techniques while diving. “Spearfishing is a dangerous sport for a number of reasons. Number one, you need to know what you’re doing and your limits," he said. Palm Beach County fire rescue is all too familiar with the dangers as well. “Diving is just not something you do overnight," said Dive coordinator John Wright. That's why they -- along with countless agencies across South Florida --- conduct regular training. On Monday, Wright and his team were practicing in dry suits at Lake Lytal community pool in West Palm Beach. 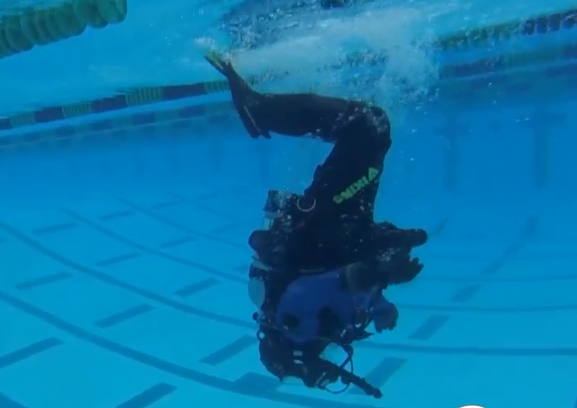 Wright went over some things you might want to think about before diving. "Are you driving outside of your technical skill? You need to be aware of the air that your breathing and using the proper gear, knowing your weights and buoyancy, following your dive tables is very important," he said. And he said to never, ever dive alone.